I just came across this wonderful article by Andrew Lane (author of the Young Sherlock Holmes series) in the Guardian Children's Books section, and I thought I'd pass on the link. Lane is discussing (briefly) how Sherlock Holmes went about solving crimes at a time when police work was in it's infancy... just bare bones, really. I wanted to also really give a plug for the Young Sherlock Holmes series by Lane. Here, we have Sherlock as a fourteen year old, and we get to see how his investigative skills developed.... an interesting peak into the making of a (fictional) master of detection. And, I have to say, a great read for any fans, young or old, or Sherlock Holmes. The third book in the series; Young Sherlock Holmes: Black Ice, is out now. And if you haven't read the others (Death Cloud and Red Leech), summer is the perfect time to catch up. Regardless of the subject matter, Grahame Baker-Smith's picture books are pure magic! 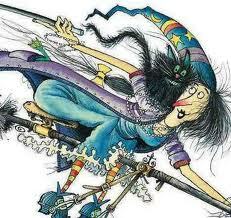 In 2012, Winnie The Witch will turn 25! Winnie's publisher, Oxford University Press, WHSmith and the Guardian have teamed together to bring a brilliant competition for all budding artists/illustrators out there. Four lucky winners will have the chance to see their artwork feature as the endpapers for the 25th anniversary edition of Winnie The Witch! The book will be published in July 2012. So... what are you waiting for? Check out the link below which gives you all the details on how to enter, and then get started!!! I just wanted to share my review of 'The Butterfly Heart', which is now up on The Bookbag. 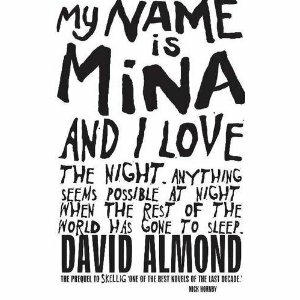 If you haven't read this beautiful, gentle important book, I can whole-heartedly say that it is one should should seek out immediately. And if you haven't checked out The Bookbag, it's a great place to find reviews of all kinds of books for all ages, child or adult. "a one-sentence, Big Society idea whose ramifications and consequences they haven't even remotely considered". 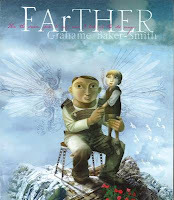 "a beautifully conceived picture book with a dream-like quality that captures the imagination of readers of all ages." 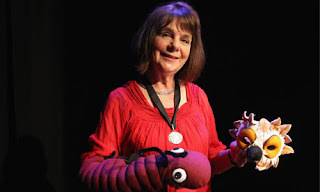 As you've all probably heard by now, Julia Donaldson (author of so many children's picture books they can't be listed, but best known as the 'Gruffalo's Mummy') has been announced as the new UK Children's Laureate. In her two year term, Donaldson is planning on using her position as one of advocacy for public libraries, and for emphasising children's interactivity with books and stories through performance. While each laureate has created a different emphasis during their past terms, Donaldson has also paid homage to their work and their expertise. Donaldson adds: "I think the children's laureate role has done something for children's books although not perhaps one thing in particular. Anne Fine's My Home Library initiative and Michael Rosen's poetry website for children to perform poems still exist. "Each children's laureate has done different things and I don't want those things to die so I'll be looking at ways to bring attention to the contributions of all the former laureates." In the Bookseller article linked below, Children's Laureate: an evolution, an explanation is given as to how the UK Laureateship has blossomed and changed throughout it's 12 year history. A most interesting inclusion is a list of all the past UK children's laureates and their particular focus during their term. This was a list recently shared by Sarah Webb, so I just had to pass it on to you. Every book on this list is a wonderful piece of children's literature... and largely for the younger child, so plenty of picture books! It was originally posted by Junior: the world's finest parenting magazine on 20th April 2010 (by 'Junior's discerning readers), so, no, it isn't breaking news. But it is well worth a scroll through to find such great books as The Very Hungry Caterpillar by Eric Carle (at number one! ), Winnie the Pooh, The Jolly Postman and at number 96, our own Oliver Jeffers with The Incredible Book Eating Boy. Oh, and there are 96 more books that you may have forgotten. What are your top 100 children's books? 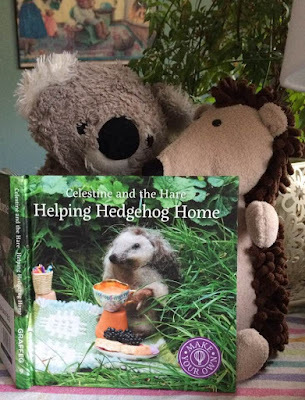 Just a quick reminder, the shortlists for both the CILIP Carnegie and Kate Greenaway Medals in children's literature have been out since 1st April. I mention it again because the winners of these two extremely prestigious awards will be announced on June 23rd... just a few short days away. 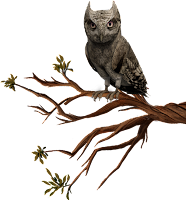 JK Rowling, creator of the famous 'Harry Potter' books has launched a new mystery website, www.pottermore.com. Launched a month before the release of the eighth and final Harry Potter film (July 15th), so far all the website is giving away is a 'Coming Soon' entry page. While there is a rumour that some select Potter fans have been given a sneak preview of what the site entails, we'll just have to wait to see what this is all about. Pottermore also has a Twitter account (twitter.com/pottermore) and a YouTube countdown clock, which projects an author comment for early Thursday, June 23rd. Well, so we know that May 31st was the 100 year anniversary of the Titanic's launch and all this year we are remembering the Titanic. I'd like to take a moment to recommend two new novels for young people (that I have mentioned before), both of which take the familiar story of the Titanic and present it with a new twist; both very different, both equally good reads. 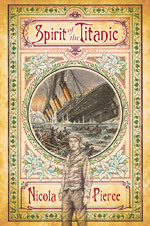 First, I have to give a shout for Spirit of the Titanic by Nicola Pierce (published by O'Brien Press). This is the story of young Sam, who plunges to his death while working on the construction of the Titanic. He comes back to haunt her on her maiden (and final) voyage, giving wonderful observations of all on board and taking a special interest in one of the 3rd class passenger families. But can he find a way to save them from the Titanic's inevitable fate? Wonderfully written, you literally feel as if you are right there with Sam. The second I want to mention is the first book in a new series (Forever Friends) by Judi Curtin. Entitled 'The Time Spell', the story begins when Lauren gets a cat. But as we soon discover, this is no ordinary cat! Having long white hair and eyes that don't match, Saturn, it seems, has very unusual powers. Before we know it, Lauren finds herself a passenger on the Titanic. While the whole situation seems like some crazy dream, the friends Lauren makes are all too real... as time will tell! This new work by the author of the famous Alice and Megan series promises to be just as enjoyable and popular. COLOURS Fringe Festival will take place in Galway from July 1st through the 8th in various venues and locations throughout the city. If you missed the wonderful, interactive show Pirates, Dragons and Moon Monsters (created by Rab Swannock Fulton and Marina Wild), then here is a rare opportunity to see it all again. 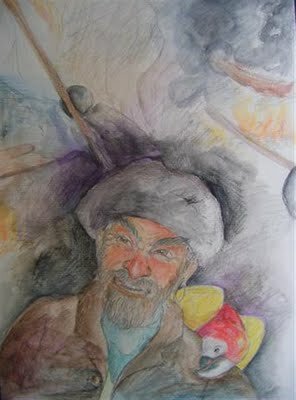 And do check out the blogspot, which will treat you to the poems, the illustrations and the link to the recording of Pirates, Dragons and Moon Monsters! Commissioned for Múscailt 2011, this is an interactive show for children ages 3-10 with poems written and performed by storyteller and writer Rab Swannock Fulton and illustrations by Marina Wild. After 3 long months, there's a new set of fantastic reviews from the young readers at Dubray Books, Galway! This time they've included some of my favourite reads for the summer.... 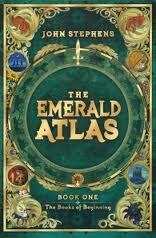 The Emerald Atlas, A Year Without Autumn, Dead Hairy, Bruised.... and a few others. I always say, if you want to know about good books for children, ask them! Just go to the 'Our Young Readers Recommend' page, and you'll find their recommendations for June. The March recommendations are still there as well. 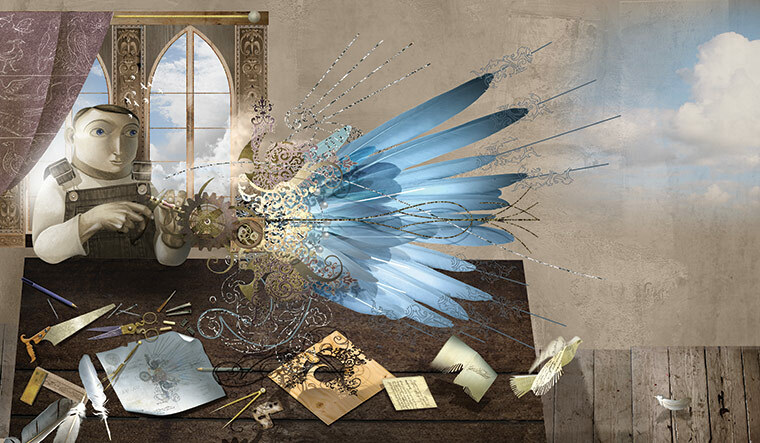 Julia Eccleshare (chair of this year's judges) has announced their selection of the Guardian Children's Fiction Prize 2011. While there are numerous awards given to children's literature, the Guardian Children's Fiction Prize is by far one of the most prestigious. Past winners have included such notable authors as last year's winner Michelle Paver, Patrick Ness, Jacqueline Wilson and Philip Pullman. There are eight books included in the longlist, selected by this year's judges. Julia, Michelle Paver, Julia Golding and Marcus Sedgewick. Great list! It includes 2 of my favourites from the last year, My Name is Mina and Twilight Robbery. Illustrator Kevin Waldron has won the Bull-Bransom Award 2011 for his collaborative effort (written by Michael Rosen) 'Tiny Little Fly'. The Bull-Bransom Award is given to honour excellence in wildlife illustration, and is quite an honour. "Jackson Hole, Wyoming – May 26, 2011 – Children’s book illustrator Kevin Waldron is the recipient of the 2011 Bull-Bransom Award, announced the National Museum of Wildlife Art of the United States at a reception at the museum last night in Jackson Hole, Wyo. Waldron was selected for the award, given annually for excellence in children’s book illustration with a wildlife and nature focus, for the 2010 picture book Tiny Little Fly (Walker Books). Written by former UK Children’s Laureate Michael Rosen, Tiny Little Fly champions the little guy as the fly encounters and outthinks a tiger, elephant, and hippopotamus, all rendered by Waldron in bold, colorful double-page spreads. The Bull-Bransom Award is given annually in the form of a medal and $5,000.00 cash award.